Freecell Solitaire is another classic card games included with Windows, and is now available Android devices! Solitaire Freecell games includes 2 modes Puzzle and Classic that require patience , skill and strategy to pass a level or win a classic game! Like Klondike solitaire games, you have to move cards in ascending order from the Tableau to the Foundation cells by suit. - Run well on most Android phones and tablets! If you like Windows Solitaire then you must try this app. 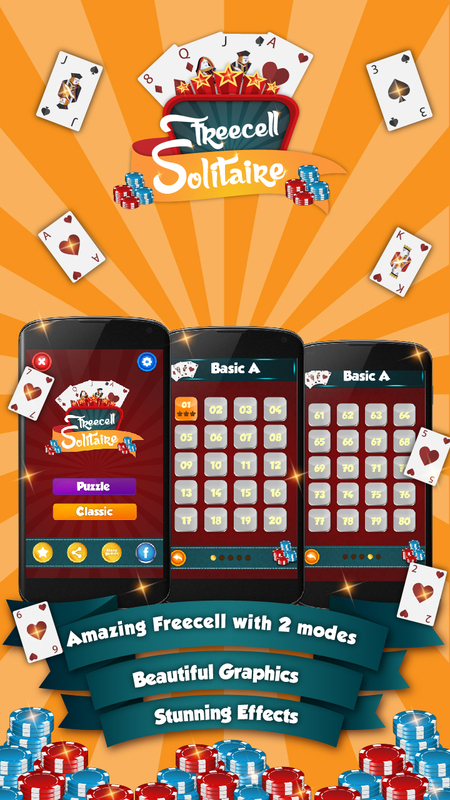 Freecell Solitaire Classic for FREE! We love to hear from you . Take a litte time to rate and comment to help it better.